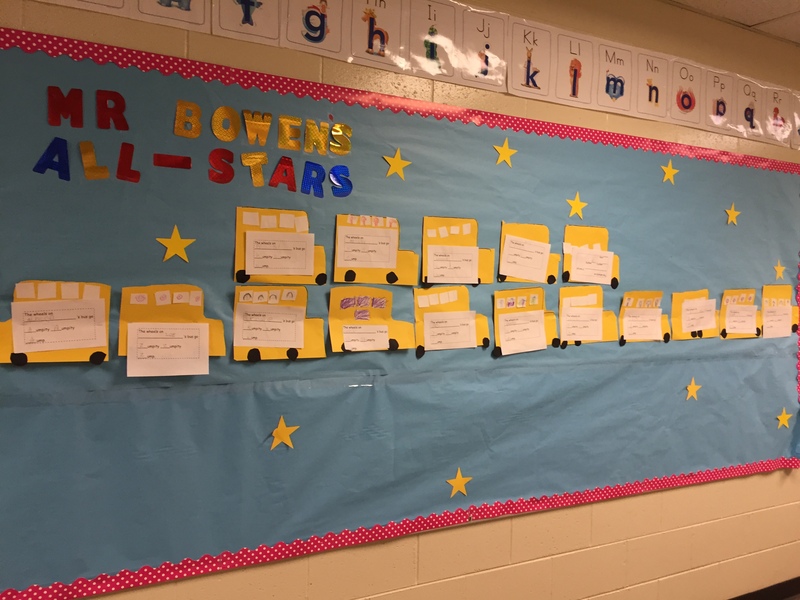 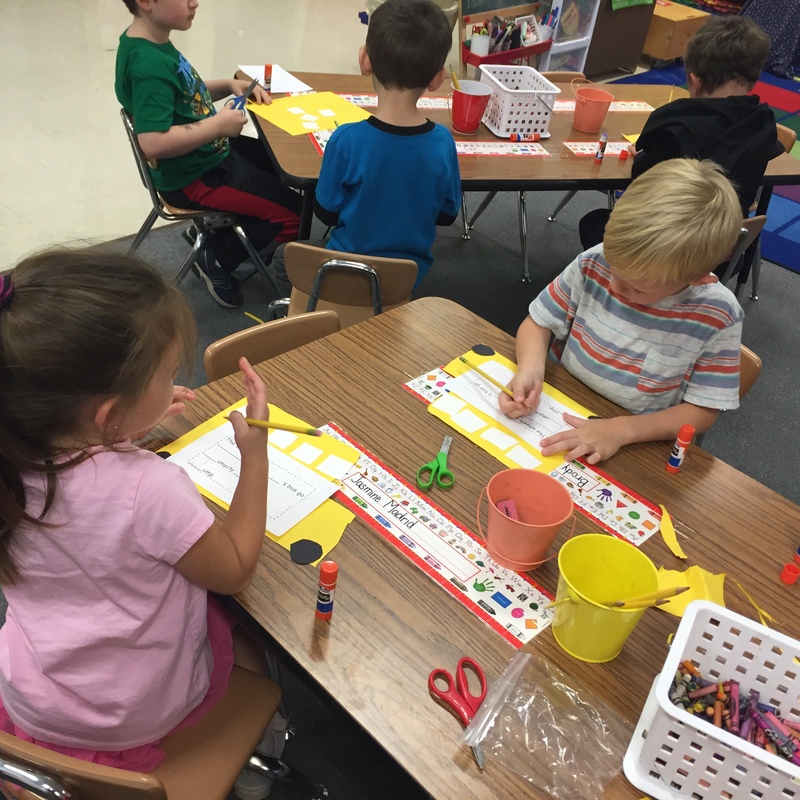 With the second week of school the Kindergarten All-Stars, we have been busy with learning procedures, the schedule, and basic skills such as letter / number recognition. 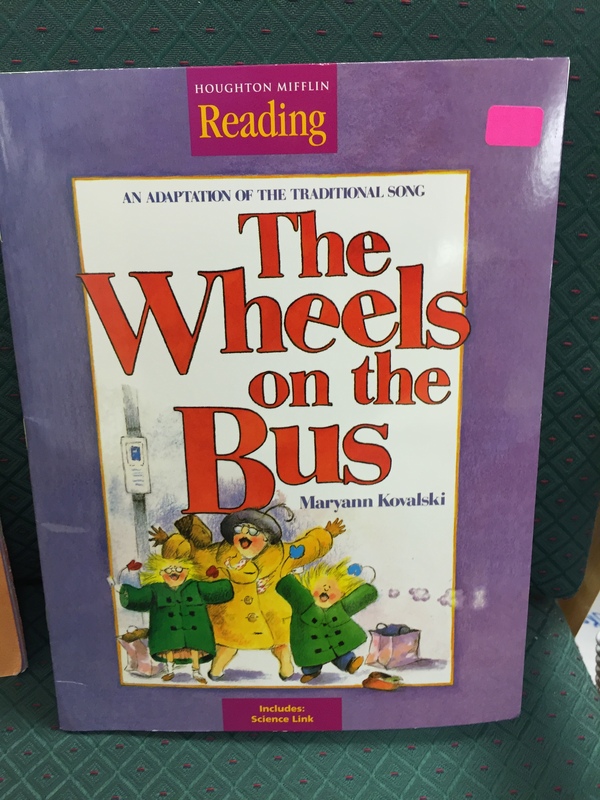 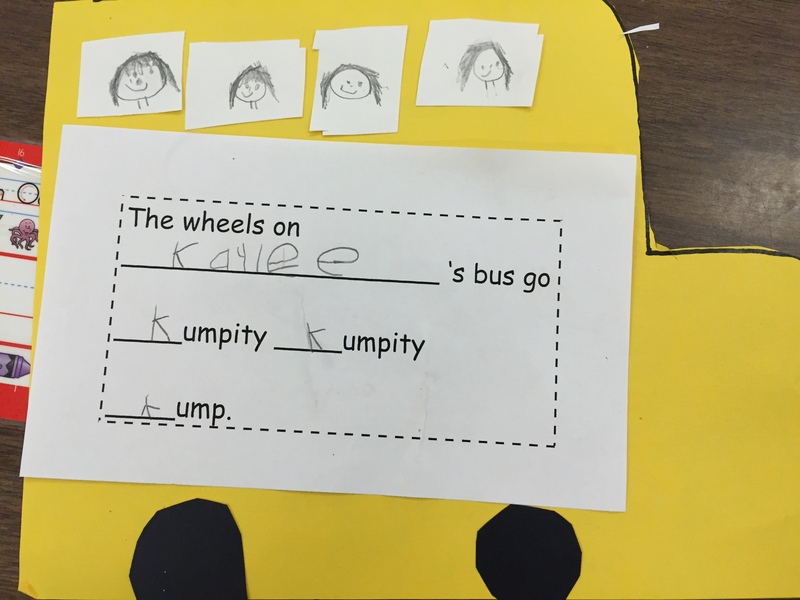 Yesterday we read a story adapted from a song called Wheels on the Bus and we discussed the problem and solution of the story. 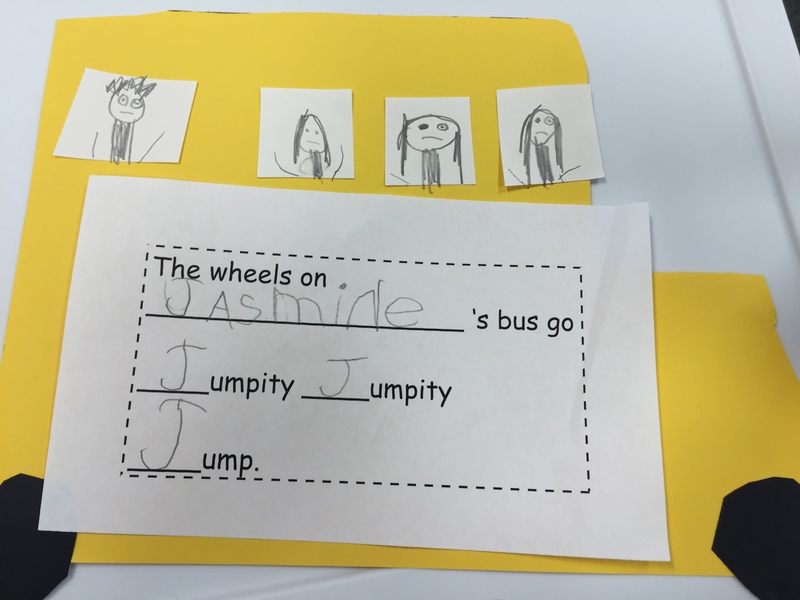 At the end of the day we made school buses and made a new part of the song using students beginning letter of their name. 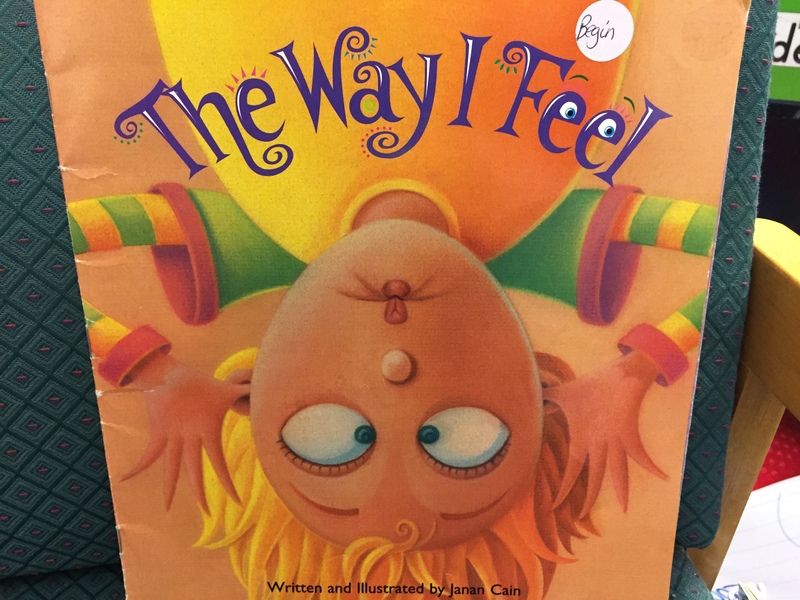 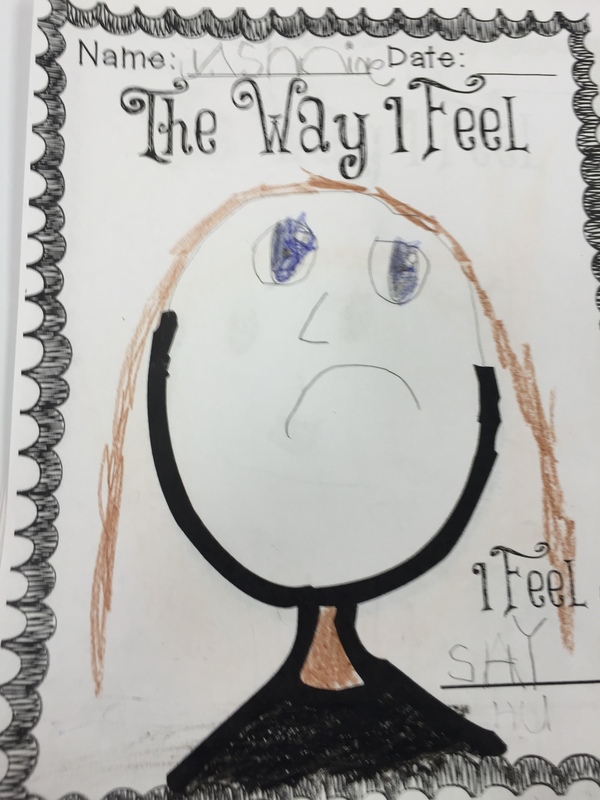 We have also been learning about the sight word “I” so we read a story called The Way I feel by Janan Cain. 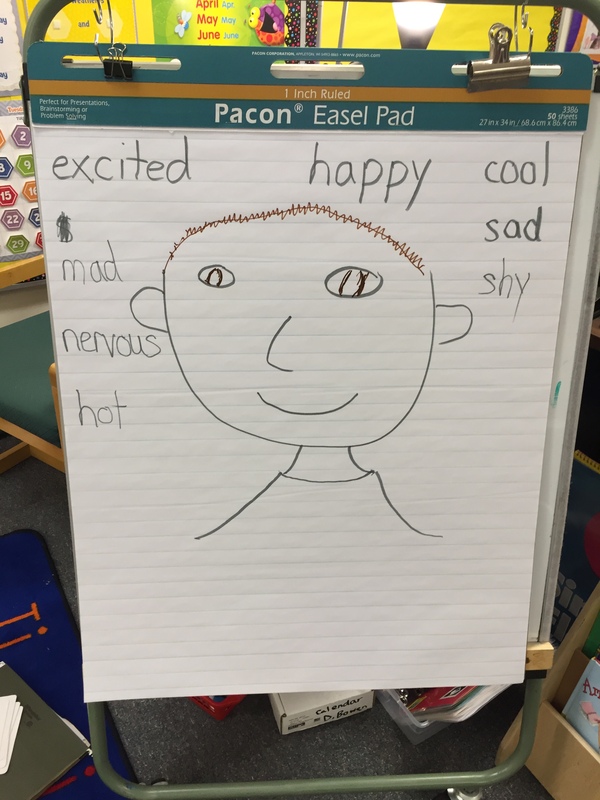 Then students made self portraits of themselves, paired up and shared how they felt. 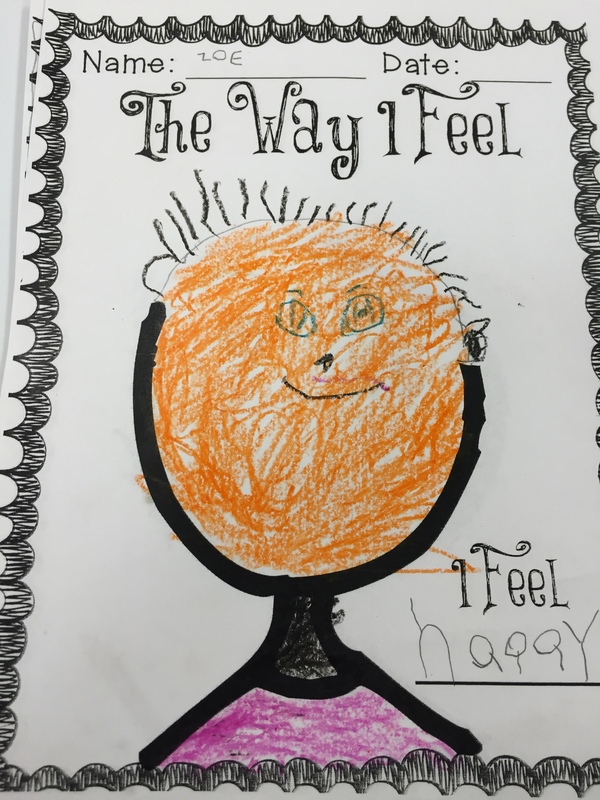 We talked as a whole class how feelings are important no matter what they are. 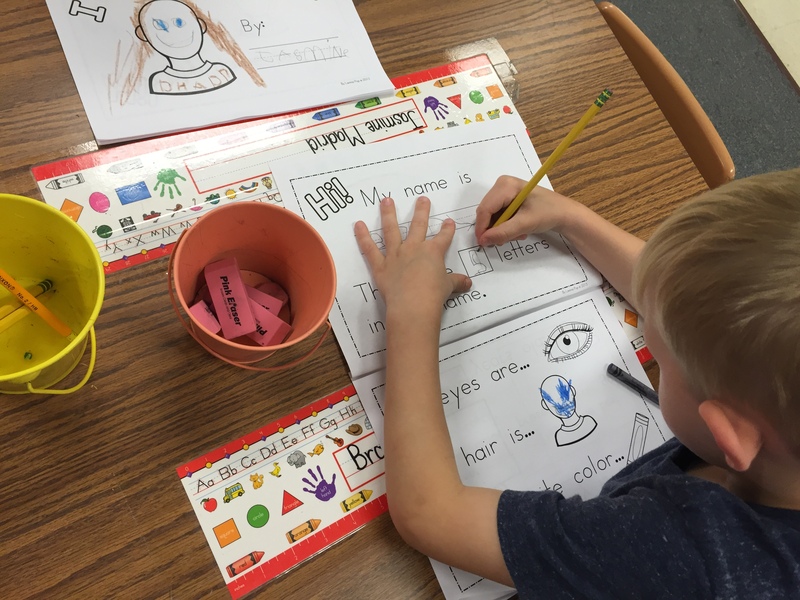 As the first week of school wrapped up, we continued to learn about following rules / expectations and participated in getting to know each other activities. 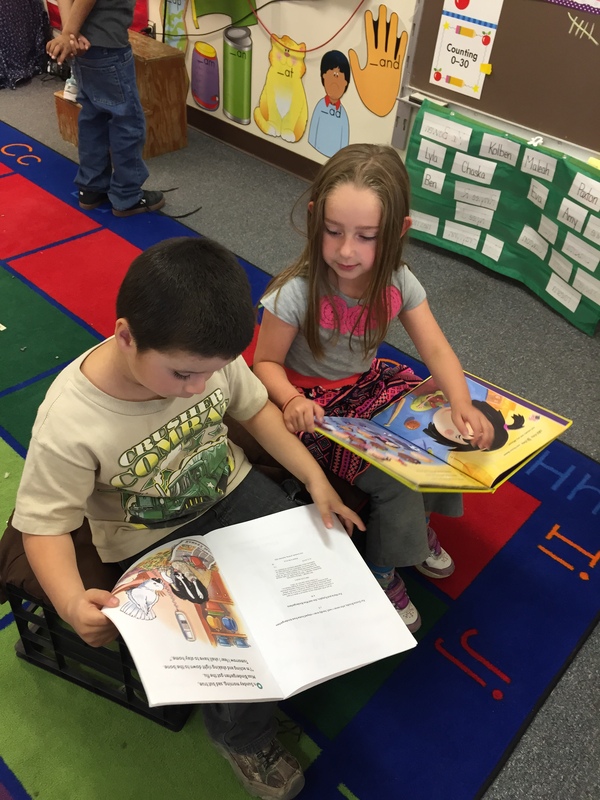 We read the story No David! 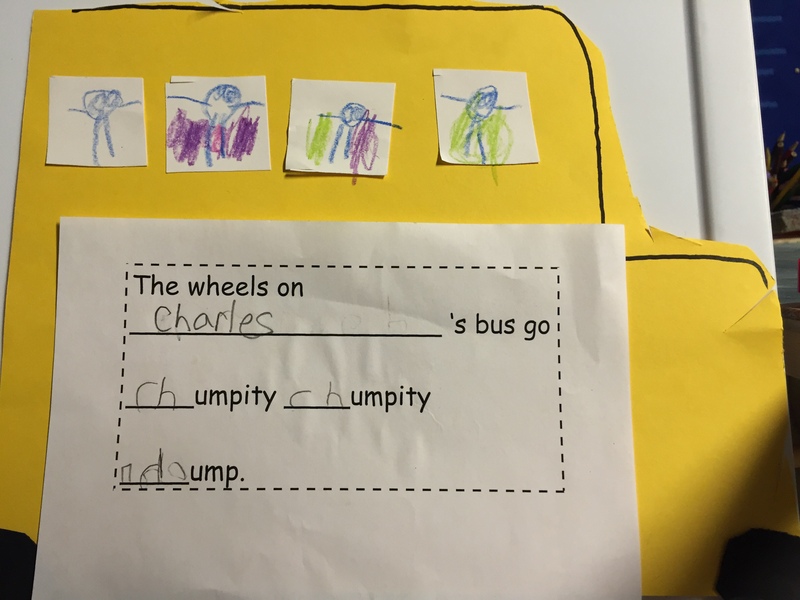 by David Shannon. 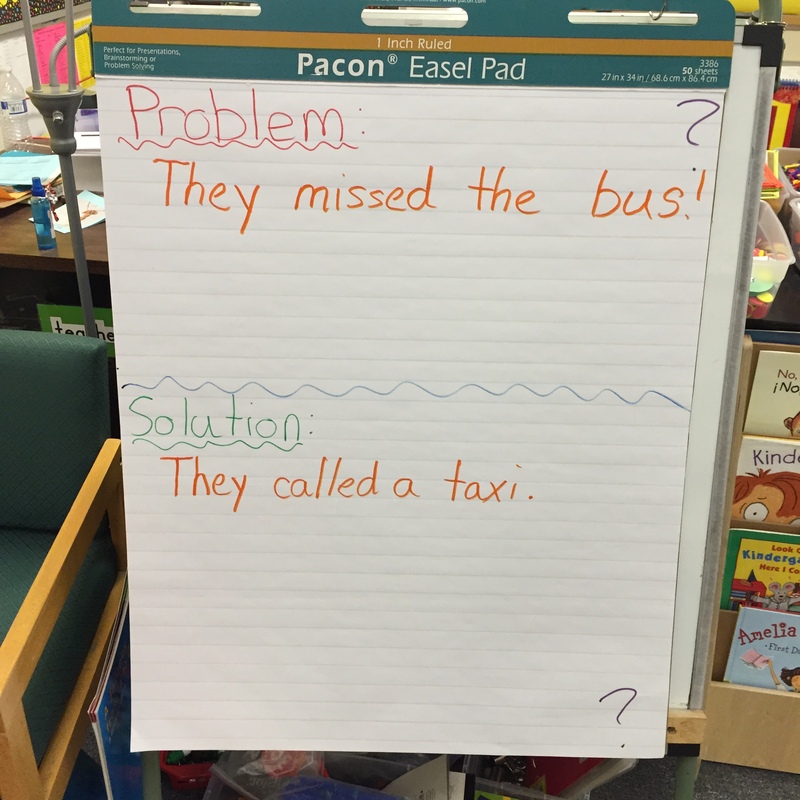 The students paired up and practiced looking for the rules that David was breaking as we read the story. 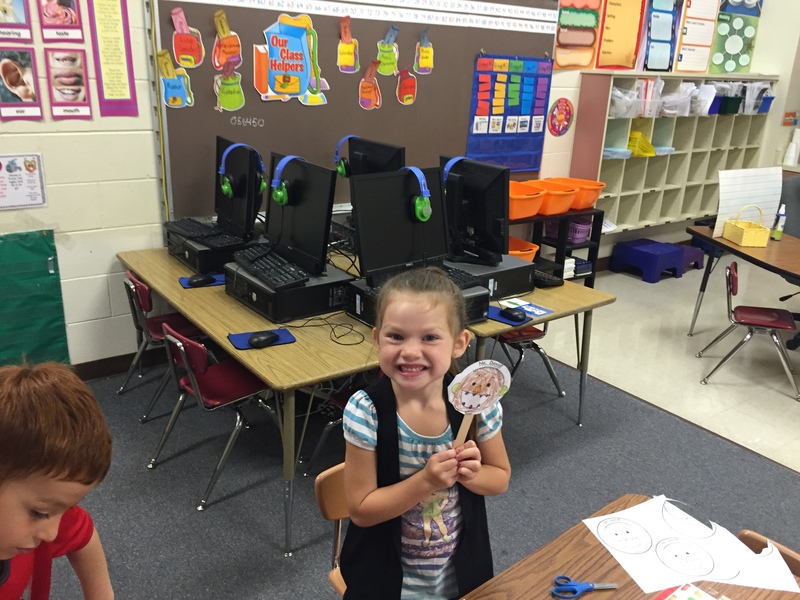 After the story, students made David Popsicle stick puppets and retold the story using the puppets. 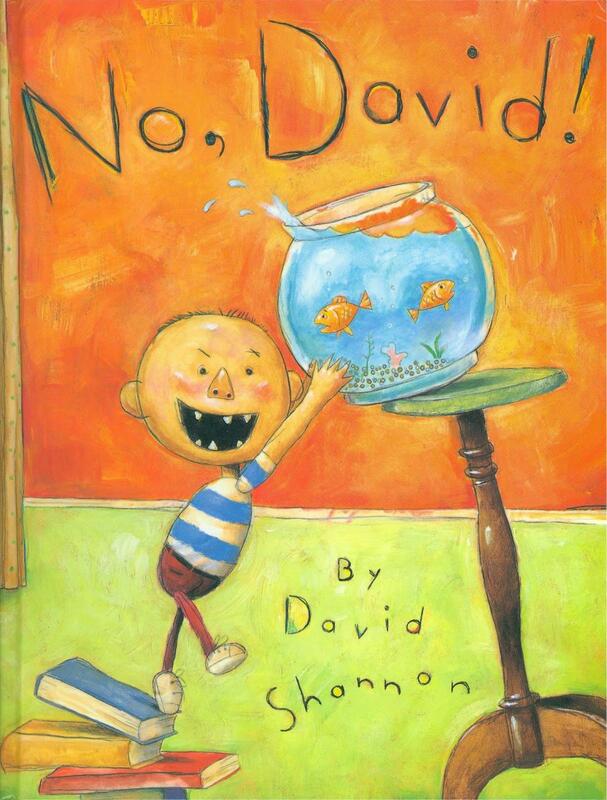 You can find the No David! 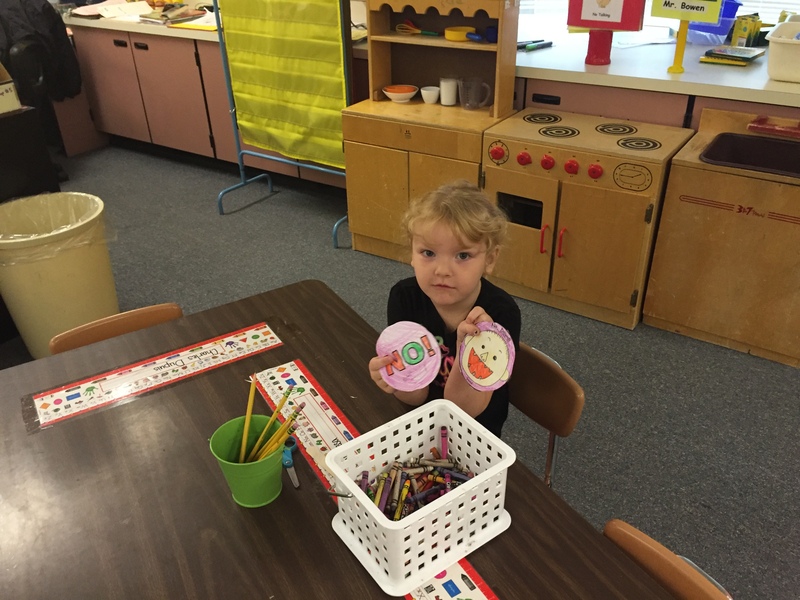 puppets here. 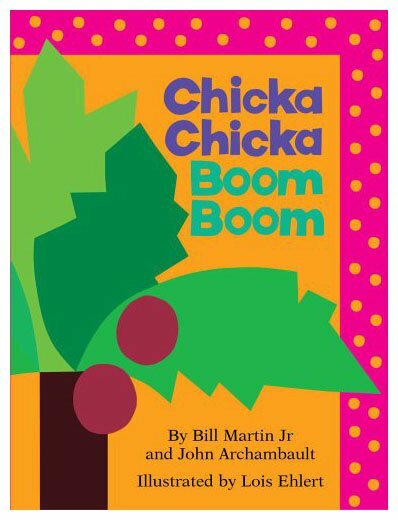 The next day we read Chicka Chicka Boom Boom by Bill Marin Jr. and talked about how letters make up words, and the most important word we know is our name! 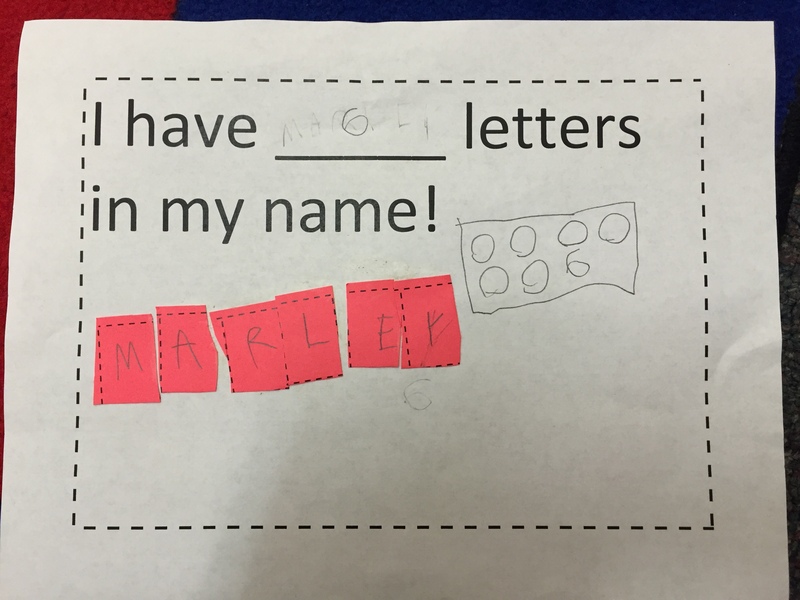 Students wrote their name in boxes, cut them up and put them back in the correct order. 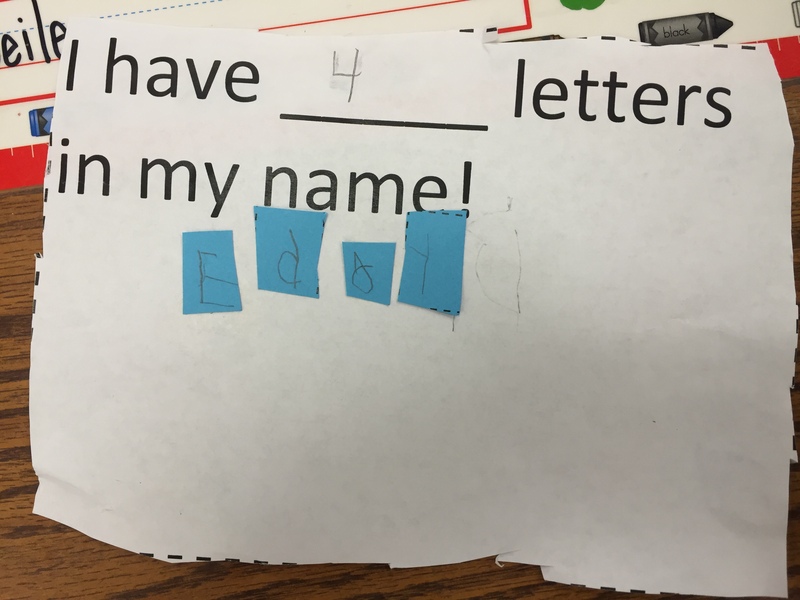 They counted the number of letters in their name and wrote the number. 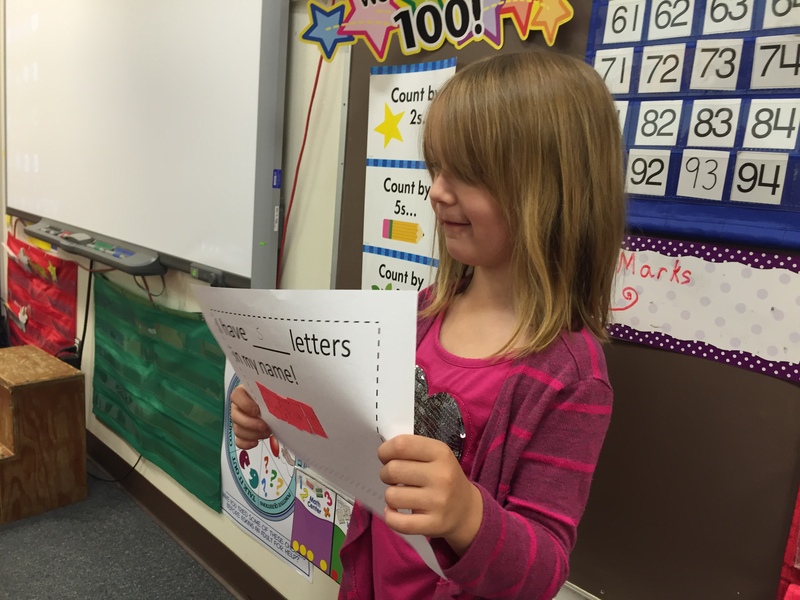 Then we continued to get to know each other by sharing how many letters are in our name, and saying our favorite color. 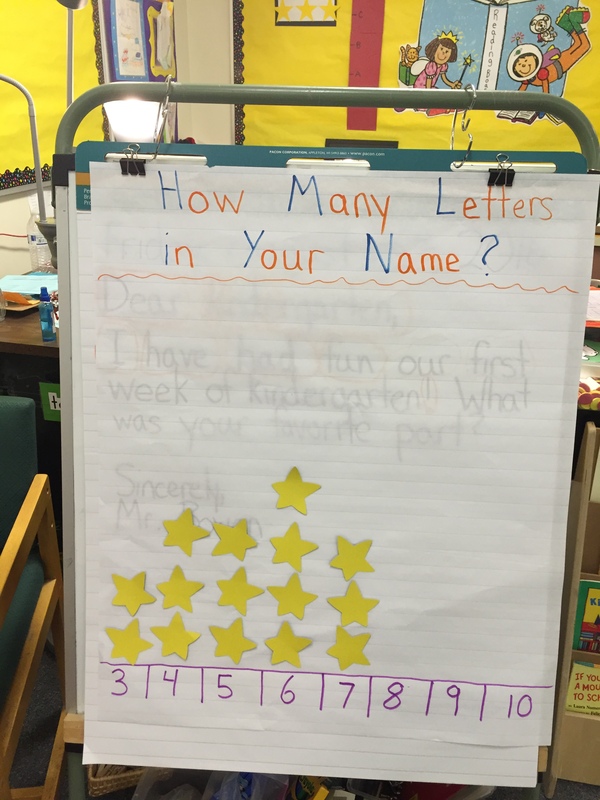 Then we graphed how many letters are in our name to as a little math extension! 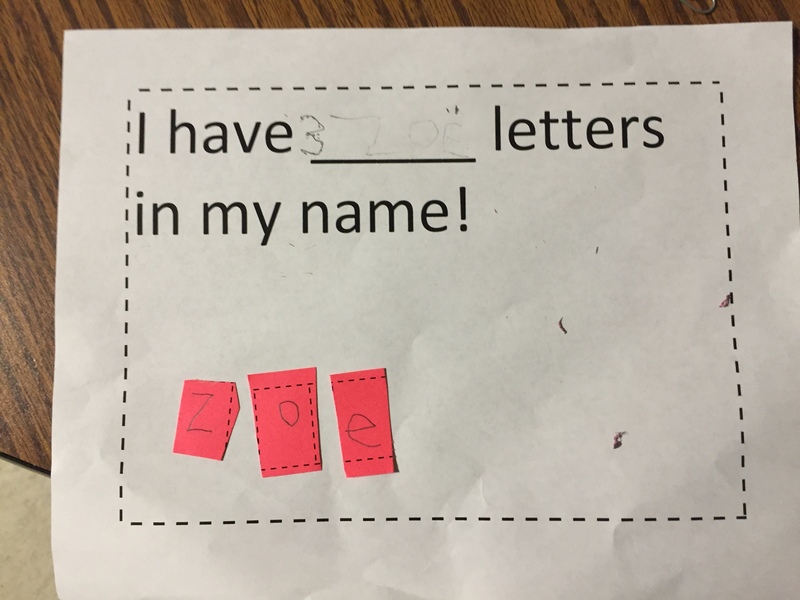 Finally, one thing I’ve been really trying to teach my students this year is proper use of shared materials and not wasting. 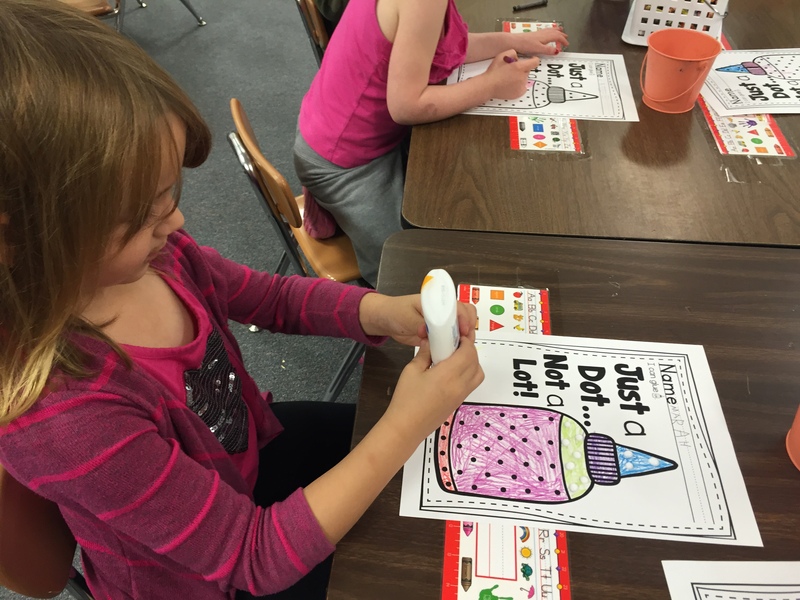 Students have been learning how to making good use of glue sticks and not wasting bottled glue. 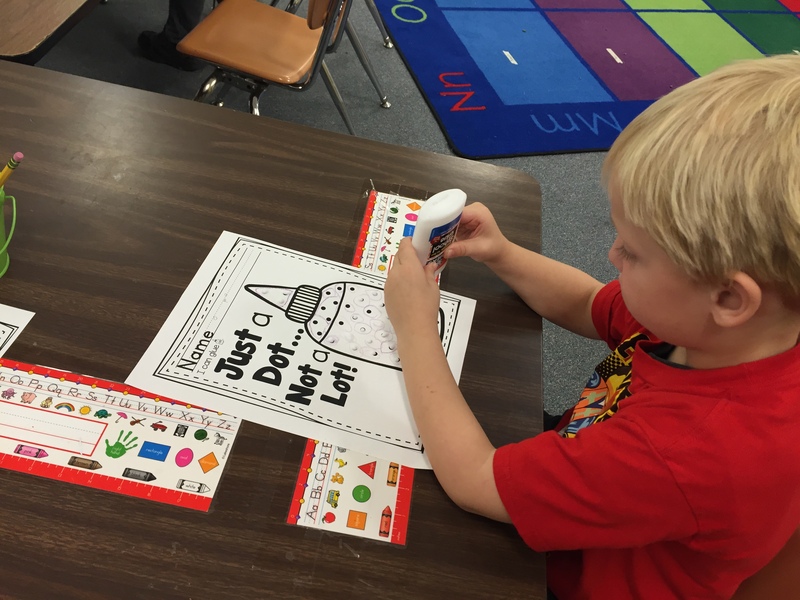 They have been taught the phrase “just a dot, not a lot”. 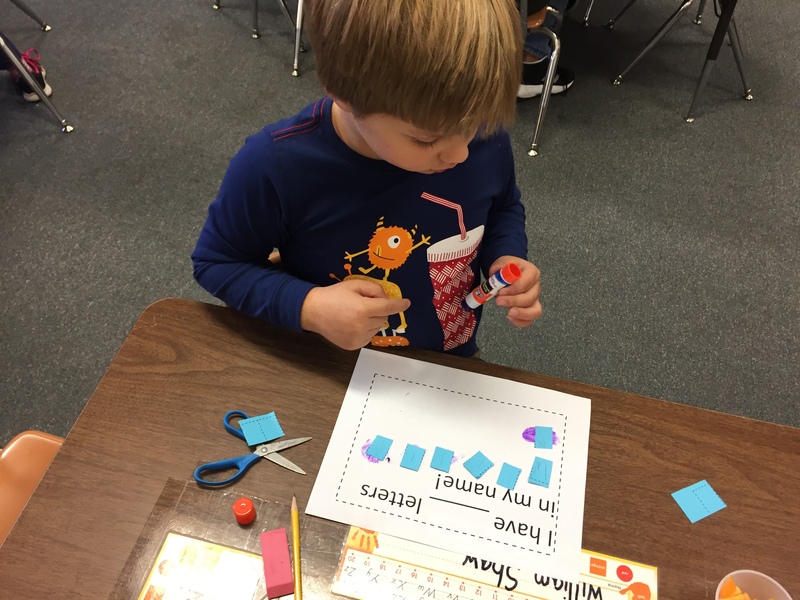 I gave them a worksheet copied on card-stock where they glued on the dots of the worksheet, trying not to overuse the glue. 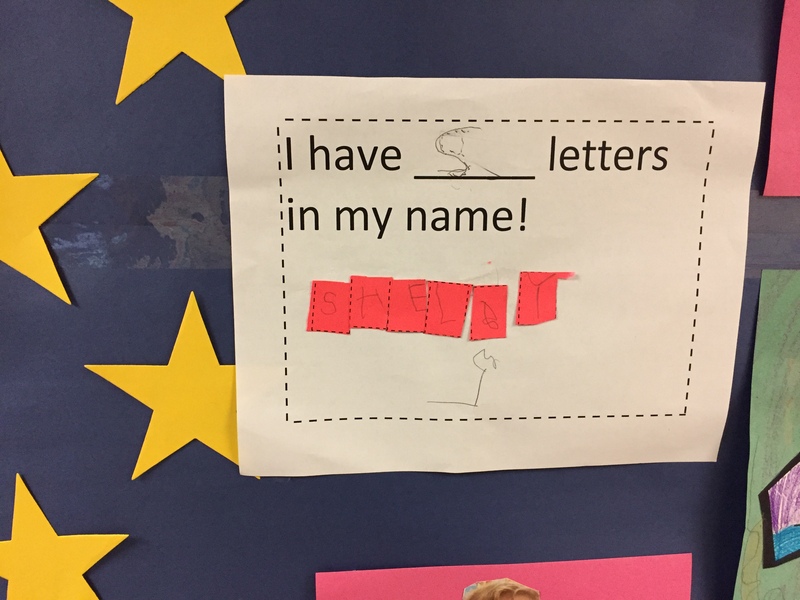 To find out more about this idea go here. 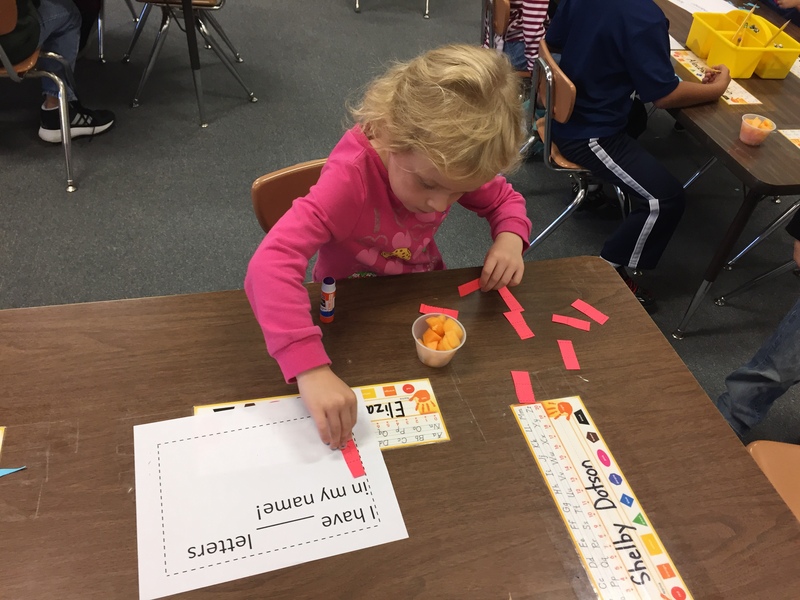 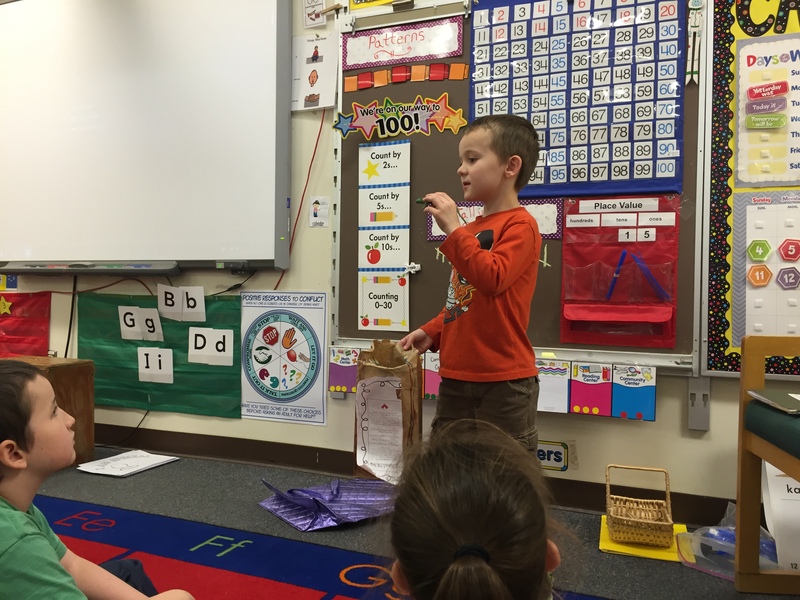 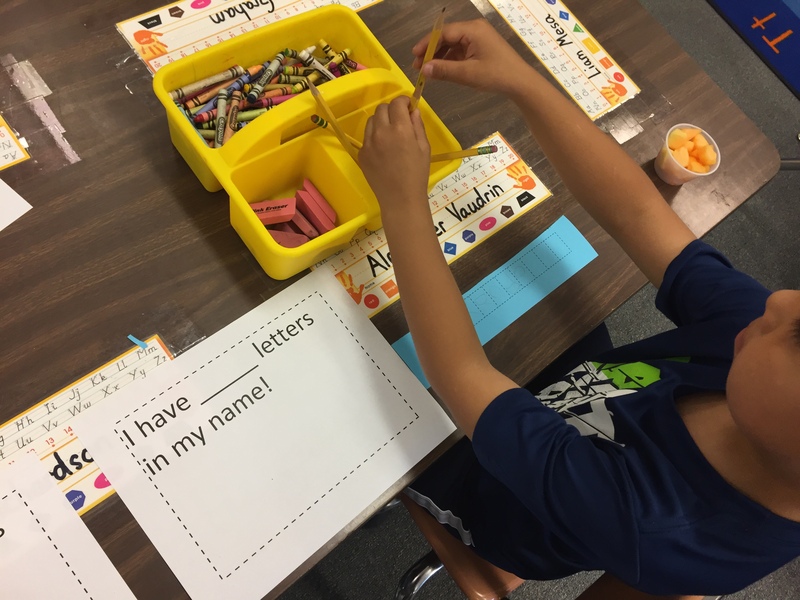 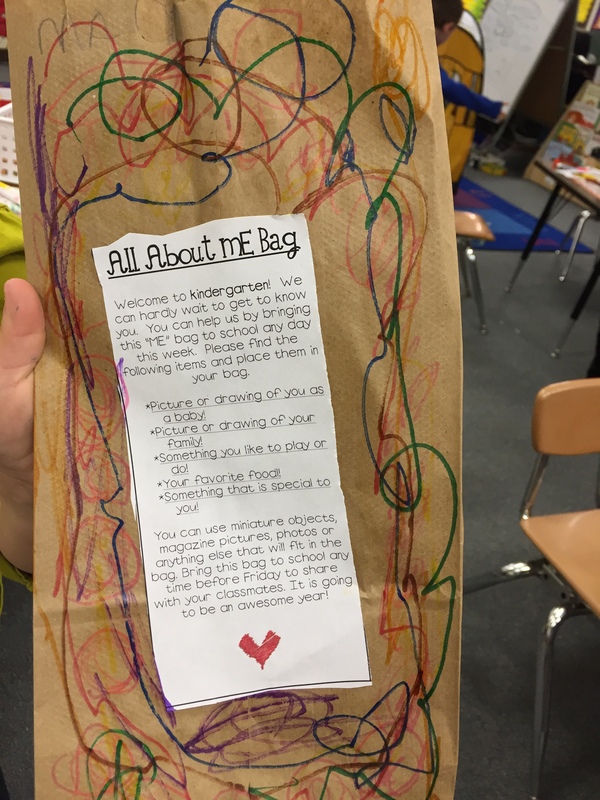 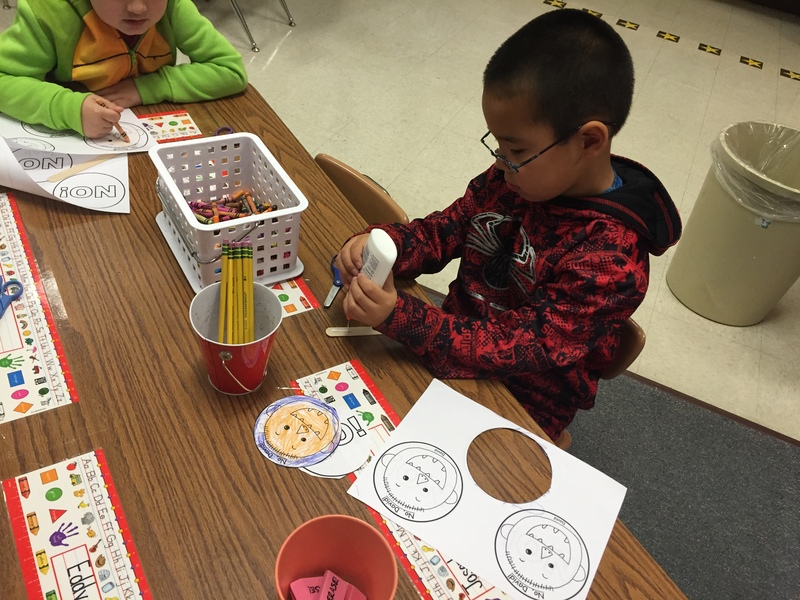 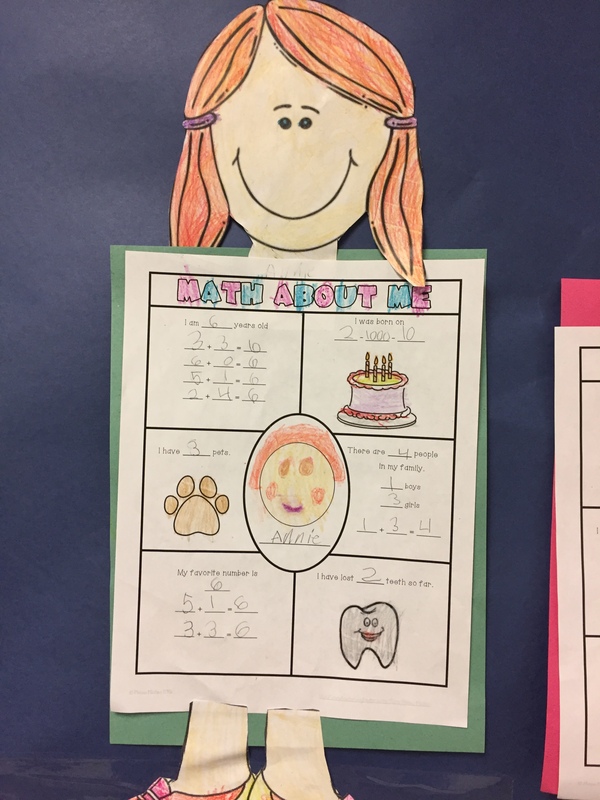 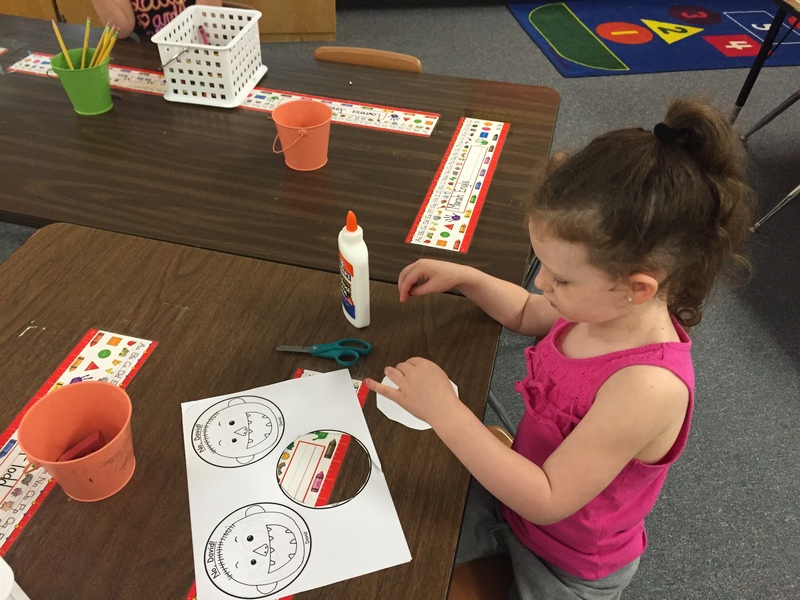 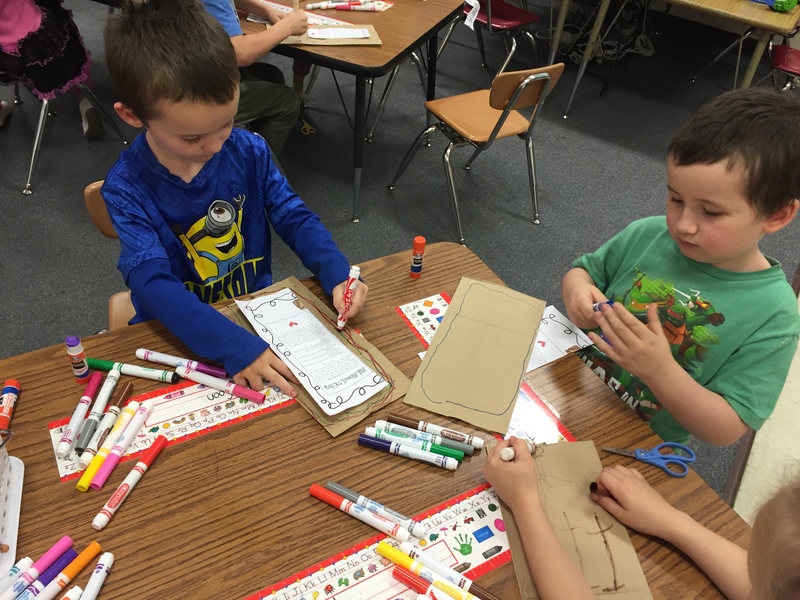 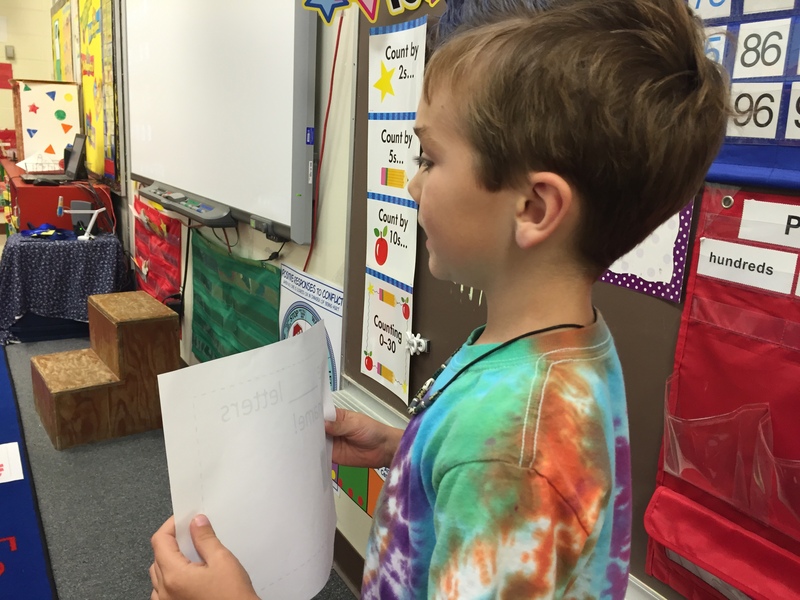 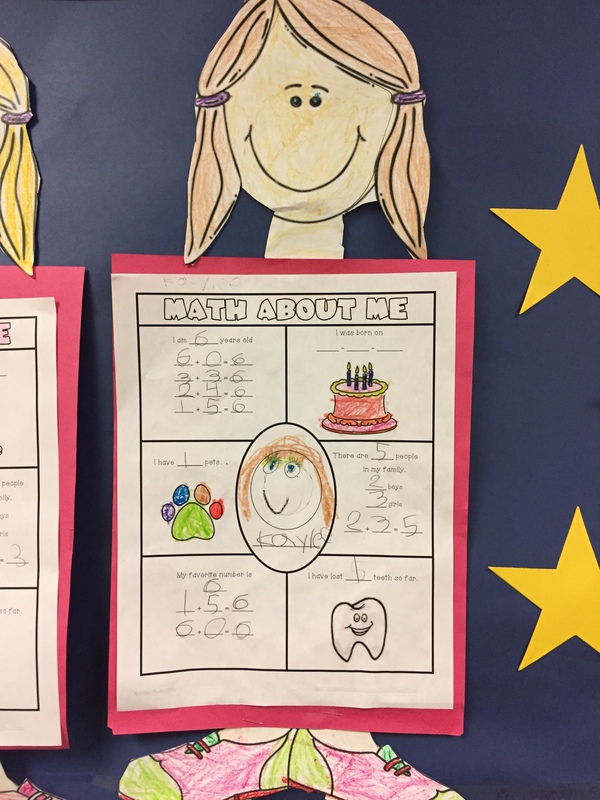 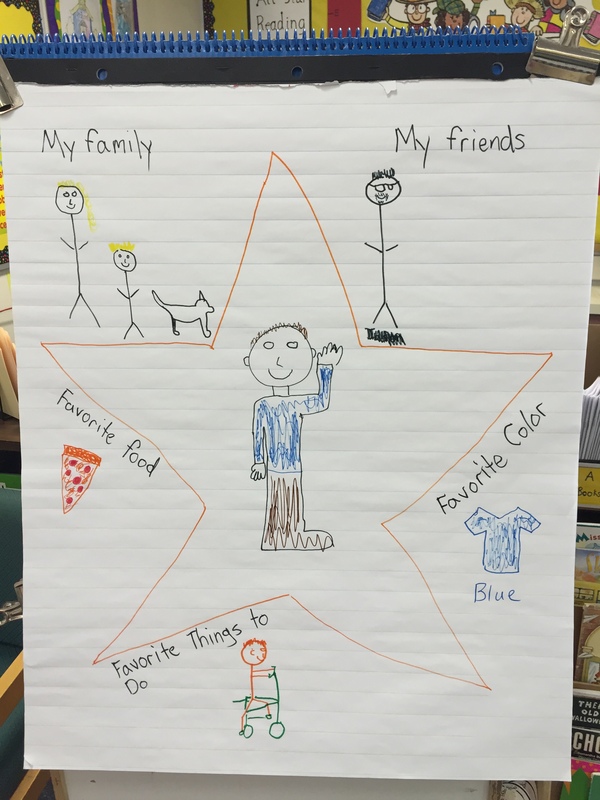 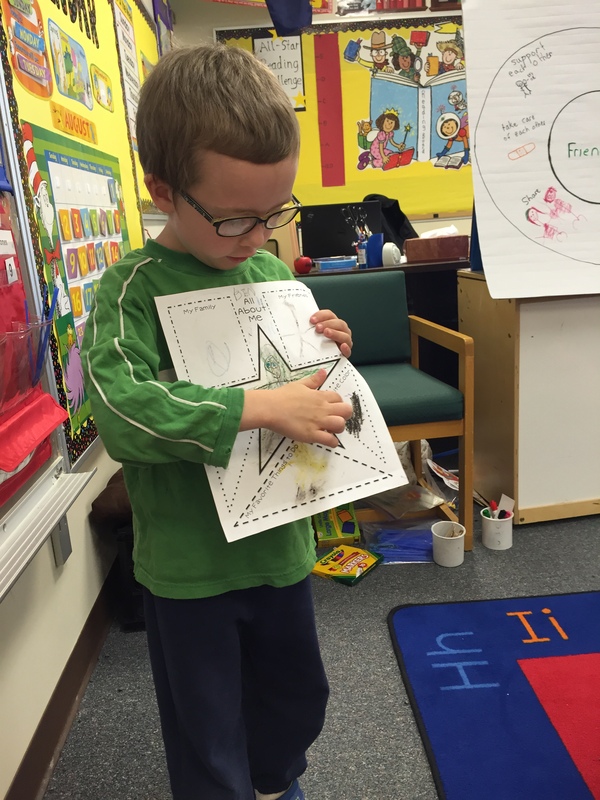 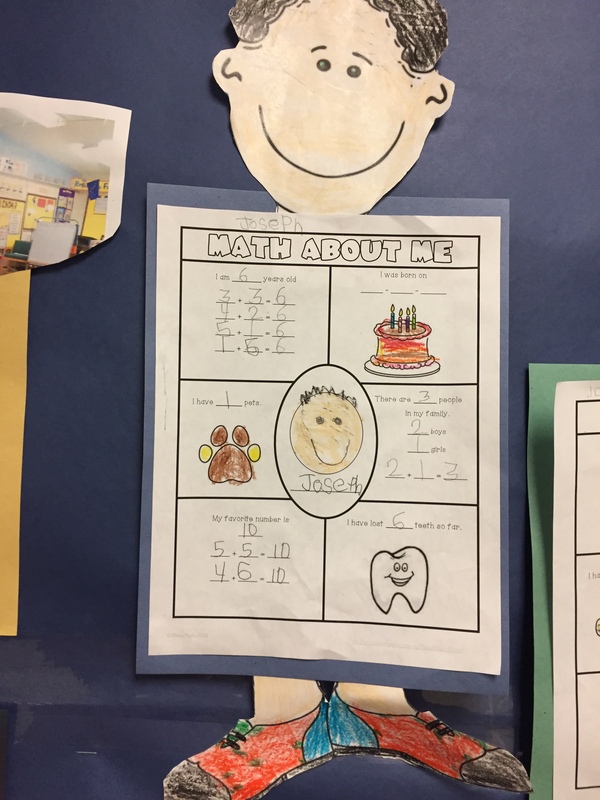 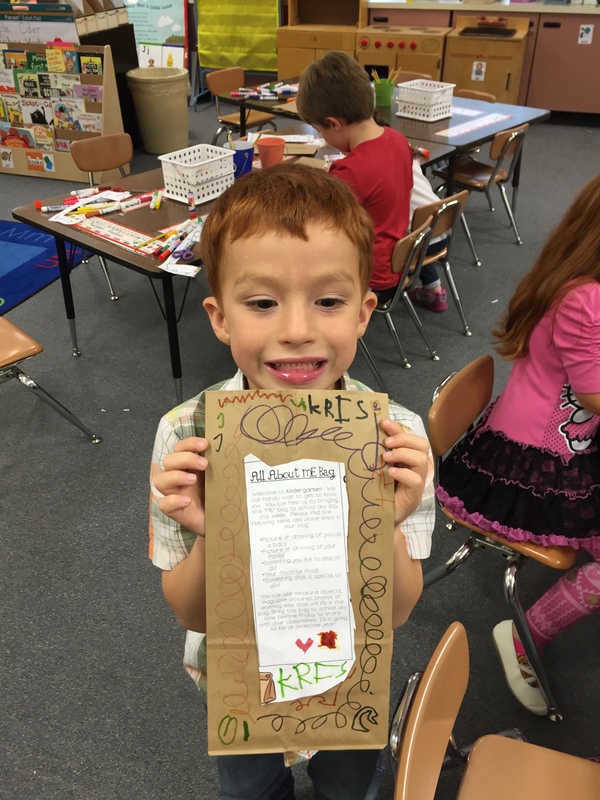 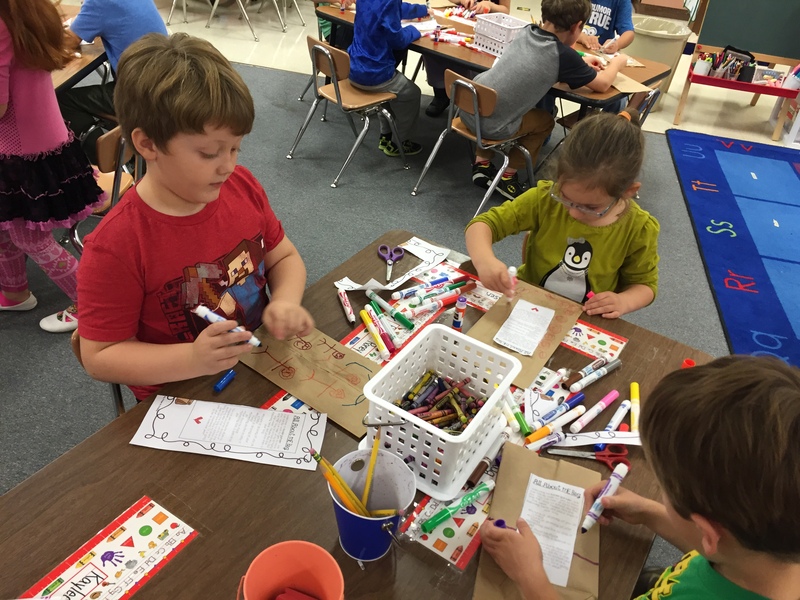 Posted by danielalaska in All About Me, Back to School, Chicka Chicka Boom Boom, Comprehension, First Day of School, Literacy, Names, re-tell Tags: activities, Back to School, Chicka Chicka Boom Boom, Kindergarten, learning names, letters, names, No David! 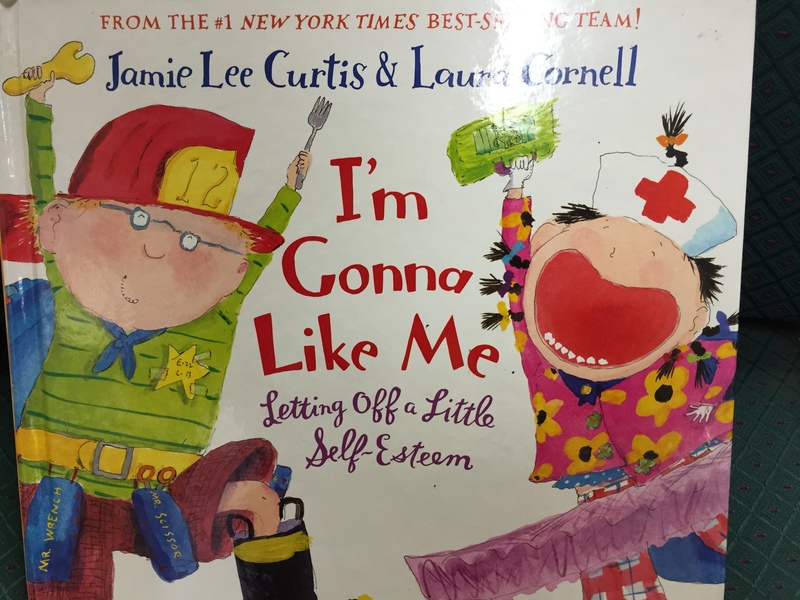 As we learn to become more comfortable in our classroom community, we read a book called I’m Gonna Like Me: Letting Off a Little Self Esteem. 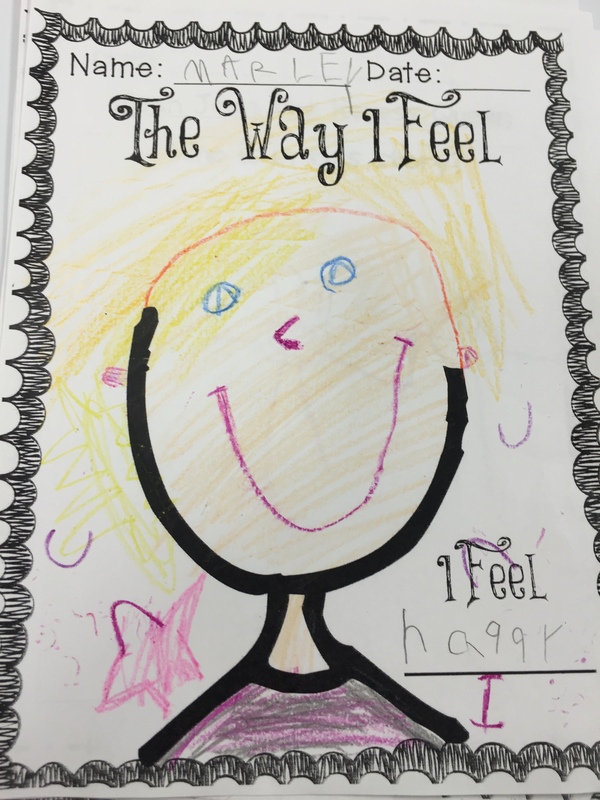 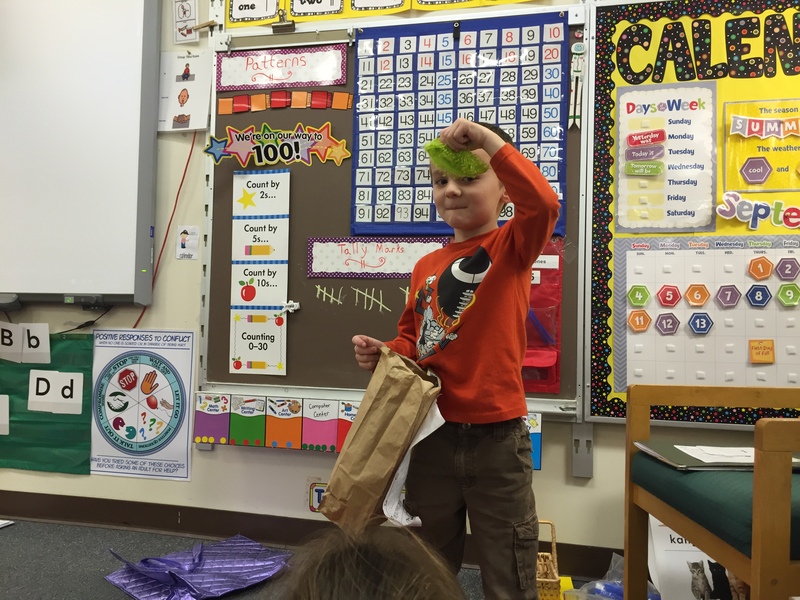 We talked about how to be happy and proud of who we are. 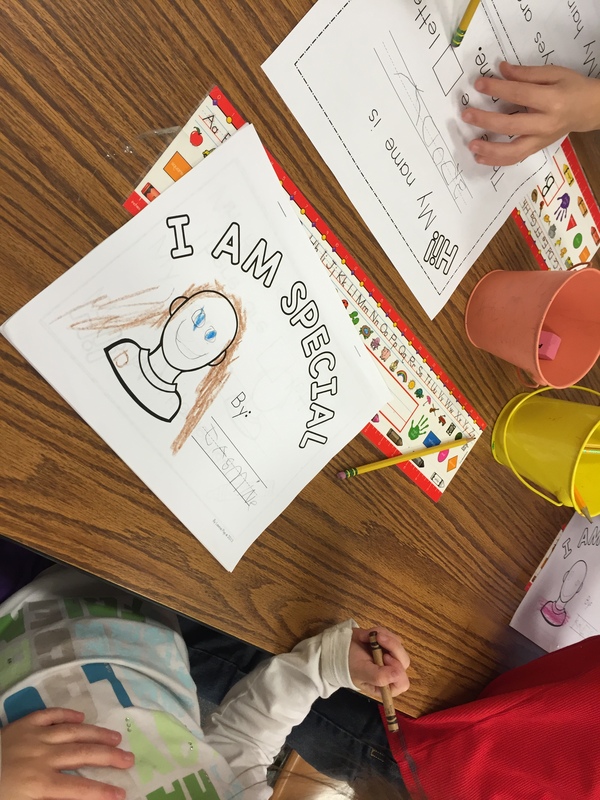 We also shared about ourselves whole group and learned how we are special. 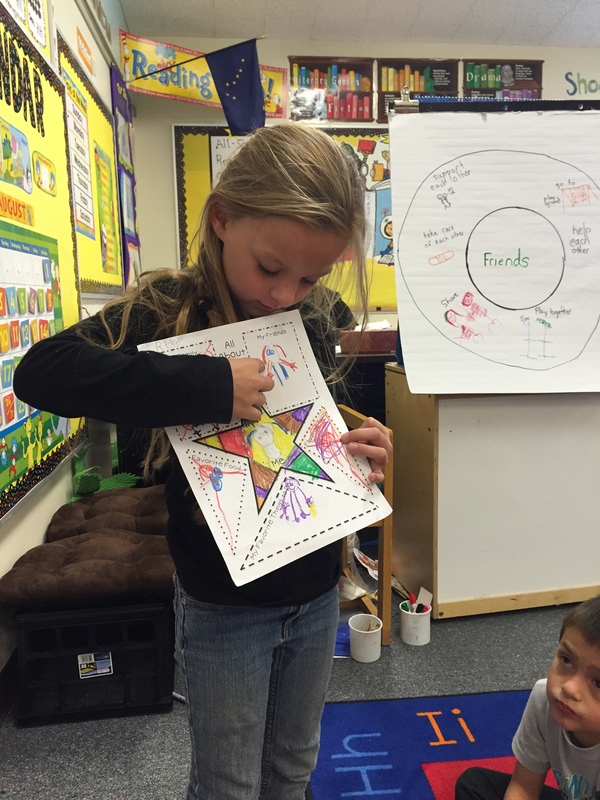 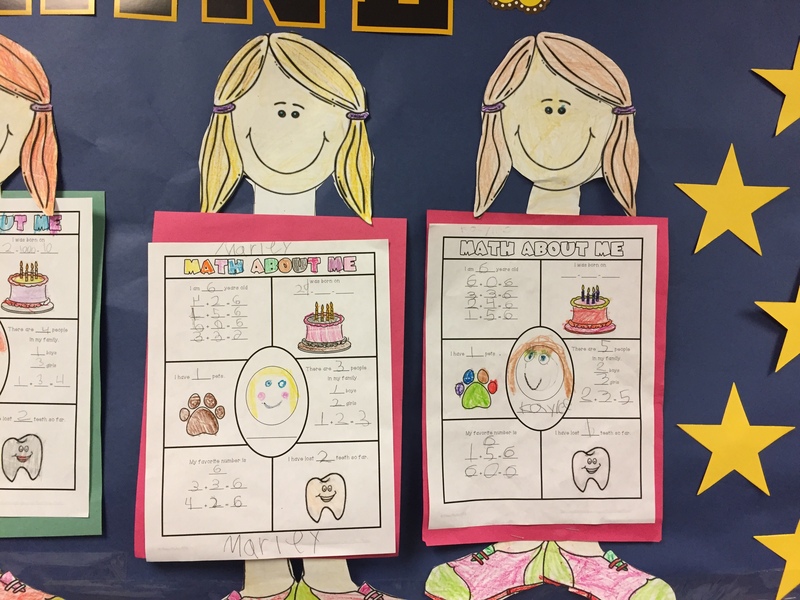 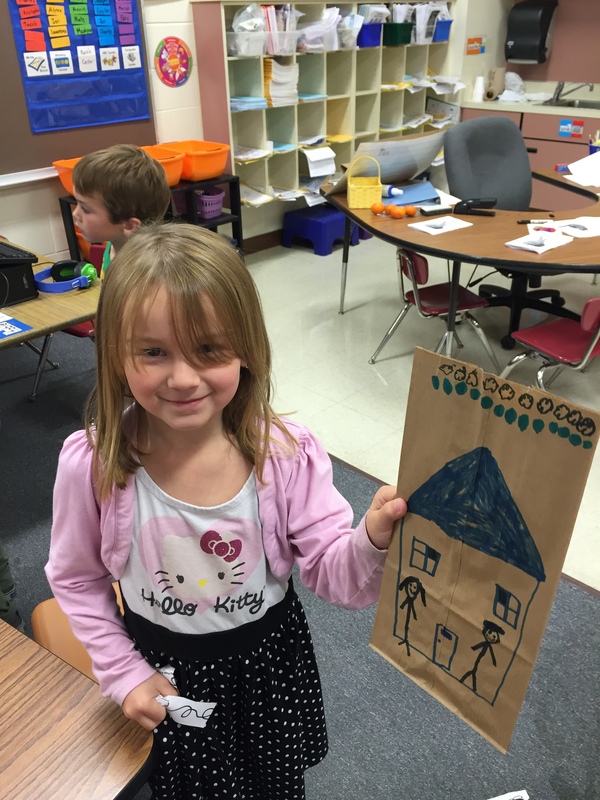 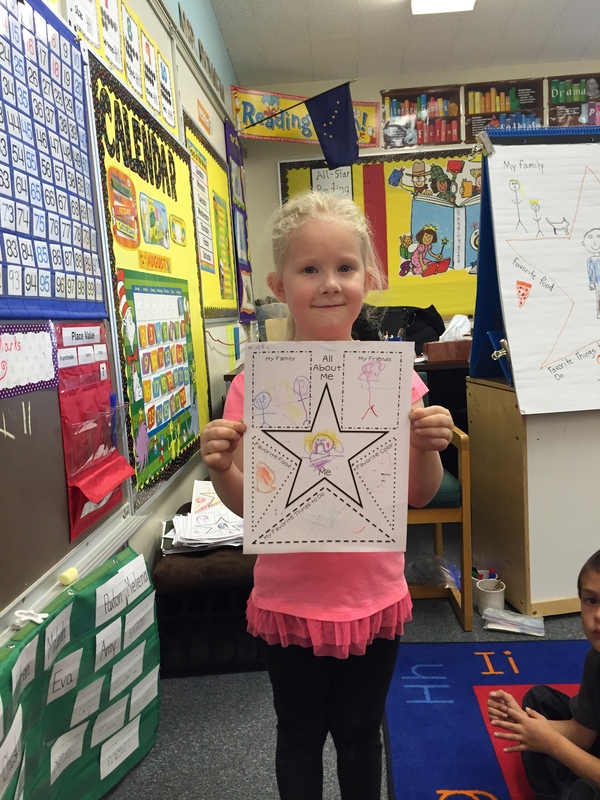 This activity helped students feel confident in who they are so they feel safe to share with others in class. 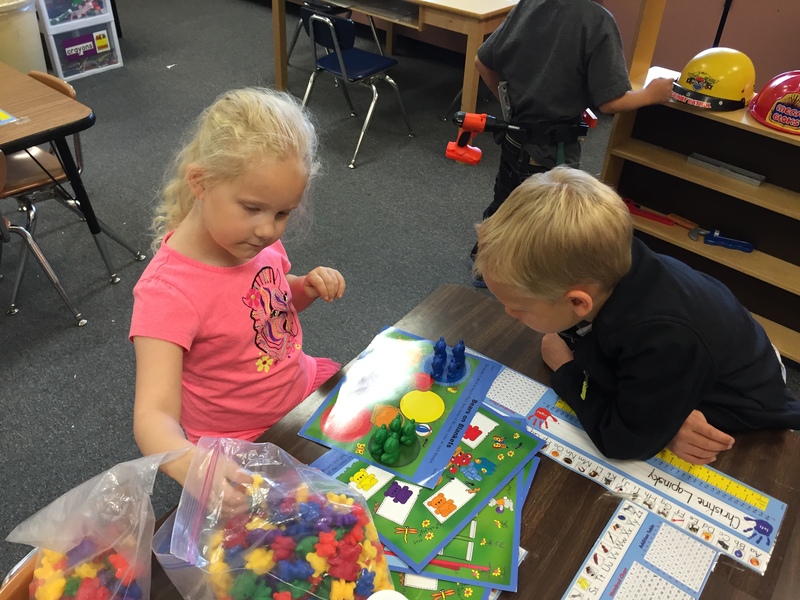 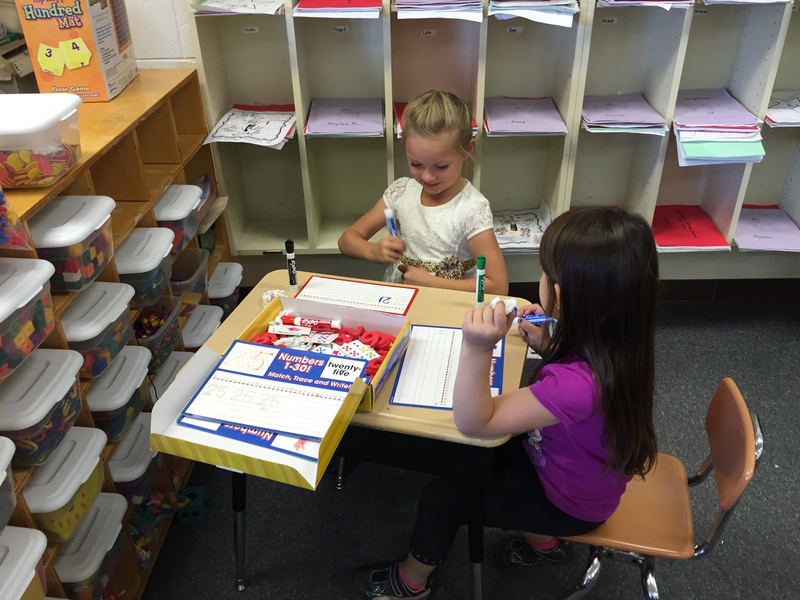 During centers you could see how happy and comfortable the class felt with working together.